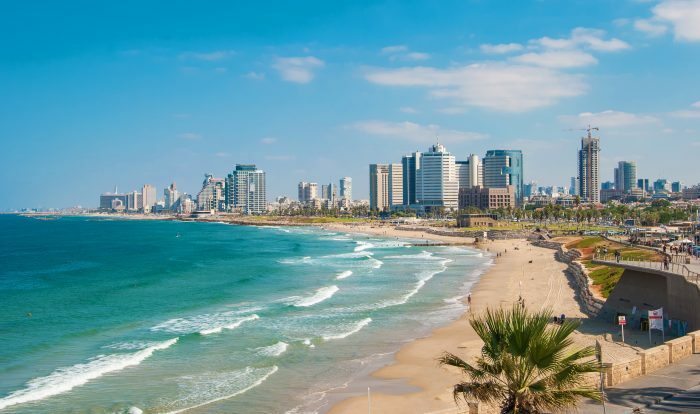 The Tel Aviv boulevards are a great opportunity to do a pleasant ‘running tour’ of the city. Rothschild Blvd. 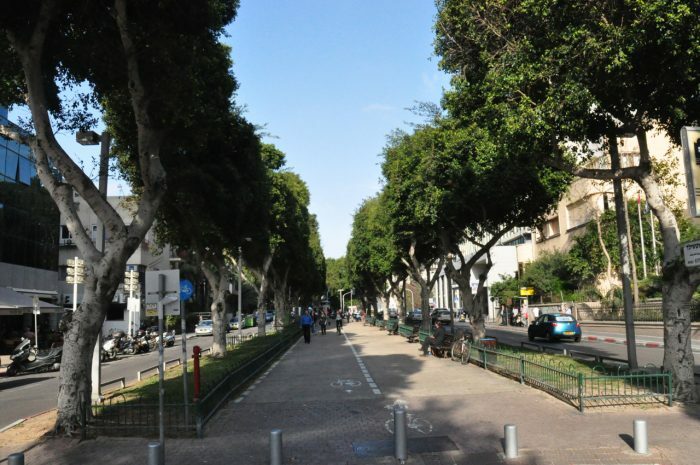 (Sderot Rothschild) is one of the more famous streets in central Tel Aviv. Combined with Sderot Chen, this is a 2 mile one way run, with a bike/pedestrian path along the middle of this grand street. Start at the north end, at Rabin Square, named after the Israeli Prime Minister who was tragically assassinated in 1995, and head south along Sderot Chen. After 0.5 miles, each Leonard Bernstein Square and the gorgeous Charles Bronfman Auditorium. The route turns into Blvd. Rothschild, and the median path continues through a pleasant park with shops and restaurants lining the street. Some of Tel Aviv’s fancier boutique hotels are along here. Toward the southern end of Blvd. Rothschild are some important landmarks: Independence Hall, museum and site of Jewish Independence; Alon Segev Art Gallery; Kol Yehuda Synagogue; and the imposing 1920s era domed Great Synagogue. Just to the south of the terminus of Blvd. Rothschild is the Israeli Defense Museum and Bloomfield Stadium. Also, just to the south and west of the end of Blvd. Rothschild, one can either connect to the beach, or go into Neve Zedek neighborhood – a beautiful late 19th century neighborhood which was very well preserved and is now somewhat of an artist quarter. We’ve mapped an extra 2.8 km loop using Shabazi St. and a road closed to vehicles paralleling Pines. Add-Ons: From Habima Square, head west to the beach using Ben Tsiyon Blvd., then Bugrashov St., to London Park. 3.2 km (2 miles) one way; 2.8 km add-on loop using Shabazi St.